Which is where I think my head must have been yesterday afternoon! Sweet Cheeks and I went to do a food shop. As I was hungry at the time, not surprisingly we came back with loads of naughty things and none of the things we went for. Before we went, I checked through all my vouchers (you know the ones they give you with the receipt) to see if I had anything suitable to wave at the cashier. I did. And promptly left it by the kettle so couldn't use it anyway! DOH! I am such a Fluffhead. Sunday of course means a new Challenge over at Paper Sundaes and this week, it is Clouds! We are sponsored by Letraset, so a good reason to join in, don't you think? Anyhow, pop over to Paper Sundaes to get all the details and see the fab card from The Sundae Girls. Ooo, I likee this one, a lot! Got there and filled up...but oh you guessed it, no voucher with me!! I blame all the other jobs we have to do at the same time. wow Faye...faberooney card as always, everybody has those fluffhead days!! I am so sad you are leaving PS and I know you will be missed but I know you have exciting things ahead and fluffheads can't do everything. Gorgeous card Faye, fabulous colouring and I love your clouds. You're leaving PS?!! What the heck! Of course my time will be up soon too but I will continue to check in on your chocolate intake. Love the card, this bunny is one of my favorite images. Too cute! That's the sort of thing I always do, either that or I keep them in my purse and forget they are there! Faye, this is so adorable! Love that sweet image and the extra clouds are just perfect. Lol, that's exactely what I do hon, leave the vouchers at home!! Your clouds are looking very much like erm Clouds!!! Hugs muver. 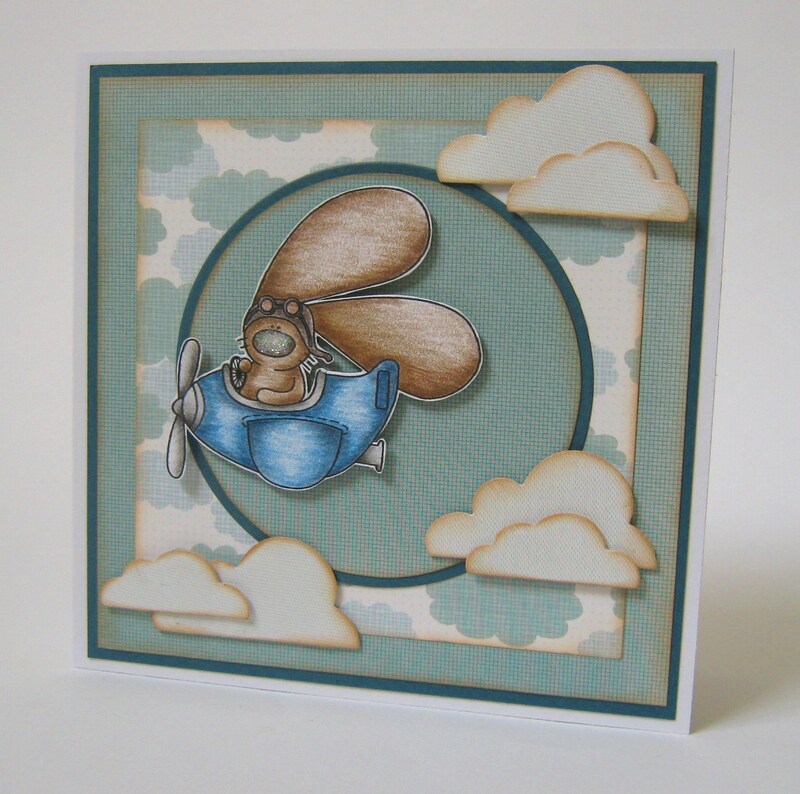 Hi Faye what a terrific card that image is brilliant and I adore the colours and design. So adorable Faye! Love the clouds! Faye this is beautiful! Love the simplicity of the design and the use of cloud paper! PS: Great card - as usual! Oh Wow! This is totally gorgeous. Amazing colouring and brilliant design. aww this is just so sweet , thank you for joining in our blue challenge at CES.